The Warm heart of Africa! Buy this carved soapstone heart shaped bowl with grazing zebra and tree in the sunset design. This soapstone item was hand carved and decorated in the Kisii Valley in Kenya. Your purchase helps to support the local craftsmen and their families. Approximate size: 4.2" x 4"
All soapstone bowls are unique hand-carved items and irregularity is to be celebrated! All soapstone products are for decorative purposes only and are not dishwasher safe. description: The Warm heart of Africa! 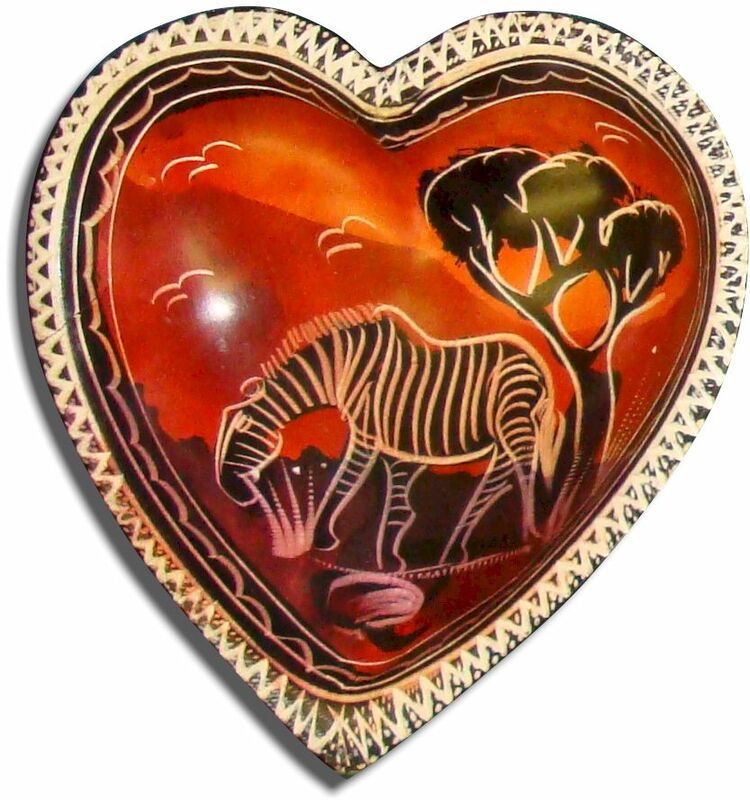 Buy this carved soapstone heart shaped bowl with grazing zebra and tree in the sunset design.